John Beavan was a brilliant scientist with a prodigious appetite for work. His contributions to the understanding of plate tectonics and earthquake science will form a long lasting legacy. Born and brought up in Hereford, he attended the Cathedral School from 1961 and excelled at science and maths. He developed a lifelong love for the game of squash often playing late into the evenings in the Friar Street courts. He was committed to Scouting and he participated in the Duke of Edinburgh award scheme. Through these activities he developed the love of hill trekking and rock climbing that he would combine so successfully with his later career in Earth Sciences. 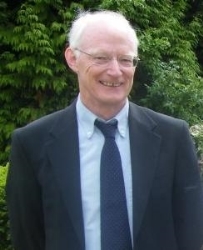 Winning a place at St John’s College, Cambridge, John ultimately gained a PhD in Geophysics and Geodesy, a highly specialised branch of earth science that deals with the measurement of the Earth’s deformation. He also discovered that through Geodesy he could combine his two passions – being in wild and remote places and physics. Career opportunities took him first to Lamont Doherty Earth Observatory at Columbia University in New York, and in the eighteen years he spent there he made major contributions to measuring the way tectonic forces deform the Earth’s crust. When in 1980 scientists realised that they could use the new military GPS codes for high precision measurements and he rapidly adopted the technique and he became one of the leading scientists in the world at measuring tectonic deformation with GPS. John Beavan’s high international standing as a scientist, his sound judgement and his even temperament led him to be appointed to many international scientific bodies. He was also a valued editor of scientific journals. Throughout his career John was regarded as a vibrant colleague and wonderful companion during field campaigns. He was known for his ability to work long hours and to remain cheerful in the most difficult of conditions and in all weathers. His untimely passing leaves a gap that will be felt in the field of geophysics both in New Zealand and globally.